The team here at The Paddington Dental Surgery has a focused commitment on protecting the environment as well as our patients. That’s why we are a “green” practice. In fact, we are a member of the Eco-Dentistry Association (EDA), an organization that provides education and standards for dental practices to reduce their environmental impact and maintain wellness for both patients and the world that surrounds us. 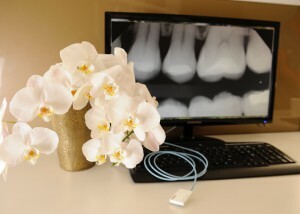 In addition to offering our very own on-site Naturopath and using holistic dentistry techniques such as digital x-rays and mercury-free treatments, our surgery follows benchmarks regulated by the EDA that can lead to healthier dental care and a healthier environment for us all. To learn more about our green dental care practices, or if you’d like to make an appointment, please contact us today. Offering optimal health and vitality with a beautiful smile, The Paddington Dental Surgery cares for its patients from a total wellness perspective. Dental health is an integral part of overall wellbeing. Whether it’s safe mercury filling removal, biocompatibility testing to dental materials, low dose digital x-rays or use of nutritional supplements to ensure healthy building blocks for teeth, gums and general health, our practice sets the standard in whole body dental care. For example, when diagnosing cavities, our team goes beyond the examination and fillings. We find the cause of the problems, suggest healthy habits and partner with our patient to correct the imbalances and prevent future problems. With guests who have a fear of dentistry, we offer the option of homeopathic, botanical and nutritional medicine to support the nervous system and reduce the anxiety around the dental visit. This wider focus on the whole patient can achieve the best outcome both in terms of minimal dental care and improving the patients overall health through advanced holistic dentistry. We also have a strong commitment to providing green dentistry, which can have a positive impact on both our environment and individual dental care. Offering our patients the safest treatment possible whilst considering our natural world, is very important to the team here at The Paddington Dental Surgery. That’s why we provide patients with a holistic and “green” dentistry experience. Our office focuses on working with technology and treatment materials that reduce risks to your health and diminish harmful waste from entering the environment. We have also consciously equipped our office with the latest electronics and computer software to eliminate the need for paper at our practice. Every little helps. Mercury-Free Treatments – No mercury is used in any of our treatments. Composite or tooth-coloured fillings are now the standard in our dental practice and have been so since 1990. We do this in order to remove the risks mercury can pose to your health and provide a much better-looking result. Elimination of mercury in our procedures also gets rid of the need to dispose of it, which benefits the environment. Digital X-Rays – Digital x-ray technology can cut your exposure to radiation by up to 90 percent when compared with traditional x-rays. And as digital x-rays rely on computer software, the need for developing x-ray film using harmful chemicals is eliminated. Reduction of Paper – By equipping our office with advanced computerized patient administration systems, we can keep your records secure and confidential while eliminating the use of paper. This can also give patients a more convenient and less time-consuming experience with our practice. Renewable Energy – Where possible, the lighting and equipment in our office and exam rooms is designed to be more energy efficient. WE use 100% reusable energy. Herbal and Homeopathic Options – Dr. Duncan Copp and his team offer a variety of herbal dental options, including organic-based and alcohol-free teeth cleaning products as well as homeopathic sedation. For more information on the ways we make our practice green or if you’d like to make an appointment, please contact us today.